Travellers flying with AirAsia can now purchase their ERL tickets to KL Sentral before they land. Express Rail Link Sdn Bhd (ERL) is the operator of KLIA Ekspres, the fast train to Kuala Lumpur’s Central Station. They’ve recently signed a collaboration with ROKKI, AirAsia’s in-flight WiFi platform to make the on-board purchase quick and easy. Available in wifi enabled aircraft. There will be a wifi symbol near the door as you enter. In conjunction with the launch, the first 50 AirAsia passengers to buy the KLIA Ekspres on ROKKI will receive a 50% discount off the normal fare. Lalitha Sivanaser, ROKKI CEO is pleased that the partnership will benefit AirAsia’s passengers and add value to their travel experience. …. 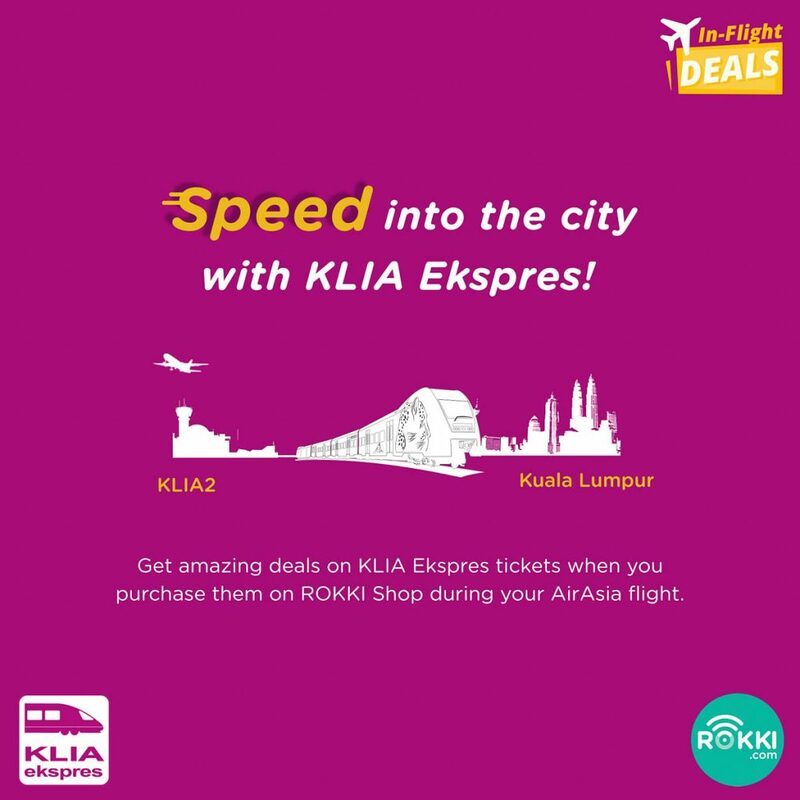 Now, they can arrive at their destination stress-free, knowing they have got the best deals on airport transfer even before they’ve landed in klia2. Guests can look forward to more deals like this on ROKKI as we continue to expand our offering.